but it ripped at the party the night before. Ironman Texas Training Began TODAY! 30 weeks or 206 days. However you look at it... THE JOURNEY HAS STARTED!! 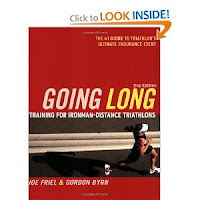 This last week has been a transition period- from finishing out the 2010 triathlon season and sprinting (!) to beginning marathon training and now this week, I begin IM training. Not much of a rest period, that's for sure. But, switching gears to start going "long" is an adjustment. Ironman training (today) consisted of a 2,500 yard pool swim at lunch and then a 10k run this evening. The run is more than what is called for, but I'm having to adapt to keep my mileage up. I'm typically swim between 1,500 and 2,000 during a session, but at a greater intensity, so upping the mileage wasn't too bad- but still seemed like a long time to be water-logged. My swimming will be dropping from 3 days/ week down to 2 so that shouldn't be so bad. As always, I have my wonderful swim partners to thank (Blake & Michelle) for keeping me motivated in the water. 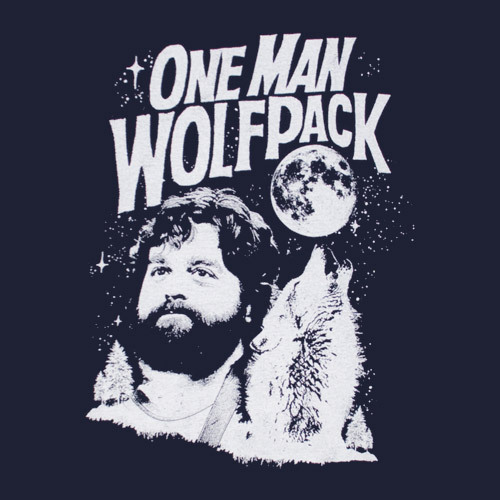 I've always preferred being a "wolf pack of one" when it comes to training, but I always enjoy their company. 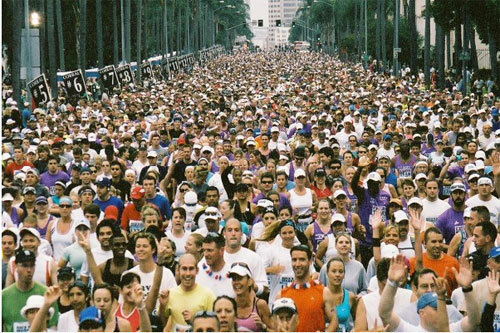 I ran across an article today that said "A record-high 467,000 people ran marathons in the United States in 2009, according to Running USA, which tracks industry trends — and running for charity has been a driving force. Even if the exact number of charity runners in the country cannot be documented, according to Ryan Lamppa, the media director for Running USA, participants in United States road races from the 5K to the marathon raised an estimated total of $1 billion in 2009." Those numbers are amazing to me. 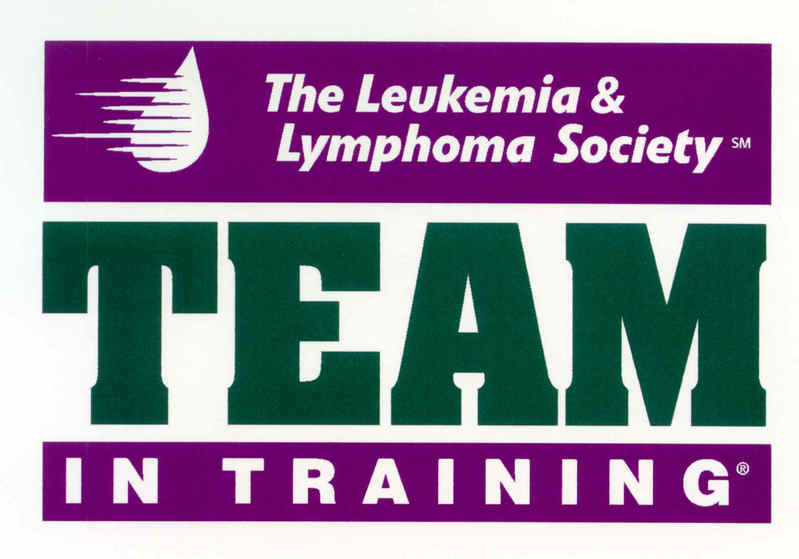 I ran my first marathon back in June 2000 with the Leukemia Society's Team in Training. 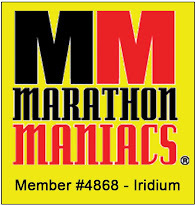 Without that group, I would never have attempted to run a marathon. I was an occasional 5k runner, at best. My friend, Amy, said that we should try a 10k one weekend and I honestly thought I was going to die before I finished that race. I told her that I would "never run that far again in my life." Less than a year later, with my friends, Amy & Shelley, we ran the Governor's Cup marathon in Montana. 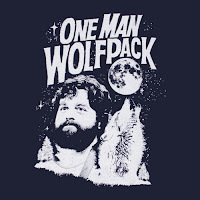 They were the ones who had signed up to go to a Team in Training informational meeting and I went along with them- thinking that they were crazy. They had originally had the idea of attempting a 1/2 marathon in mind, but by the end of the night, we had all signed our names on the26.2 mile dotted line. It was an amazing experience and I loved every minute of it. I have gone on to complete 5 marathons (6 by this December and 7 by next May.) I can honestly attribute my triathlon success and drive to complete an Ironman to the day that I signed up for that full marathon. Because on that day, I made a decision to reach for a bigger dream and I took a chance on myself, that I could accomplish what I thought was impossible. I changed my own life that day, as it has shaped who I am in many ways. And, I was able to help a very deserving organization in the process. I don't train with TNT anymore, but I am so excited to cheer every one those athletes wearing a purple jersey on in any race that I'm in and still support them through my friends that do. Anyone else a former TNT'er or other fundraising charity team? Ahhh... would it be weird if I had just put him in my shopping cart? Maybe just standing next to it would give off some bike mojo? I think some photoshopping is going to be in order. New teaser video from USAT. Bonus shot for the guys at about the :13 second mark. 1st place - 30-34 age group! Obviously a reference to Austin Powers, but I had a great race on Sunday! 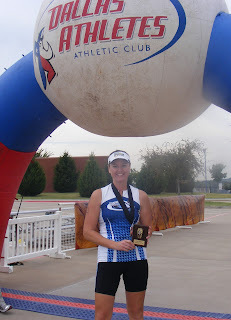 I did the Monster Tri 2 in Denton. I was ready for this race. It was sprint race and it was really the first time that I set my mind to a training plan to be ready for it. Sprints on the track, quick bricks and endless 100 and 50 sprints in the pool. And, it worked. I took 1st in my age group! And, that qualified me for the 2011 Age Group National Championships in Vermont. Don't know if I'm really going to attempt that again, but at least the qualification is out of the way if i decide to....So, yeah baby! He said he could see just fine. I raced with my friend and co-worker, Michelle who did an awesome job! She is 3-months, post-baby! So any of you mommies out there can understand the major respect I have for her to get herself back into the physical shape to just get out there and do it! I am so amazingly proud of her! Part of the reason, I was so happy with my finish, was last year, I had approached a certain individual about possibly his company sponsoring me as a triathlete. He, in a joking manner, said that he "wouldn't sponsor last place." I know him well enough to know that he was kidding, but, I was new to the sport and it irked me. Really irked me. I was excited about my progress and was getting a definite feel for the sport. It was one of those things that has driven me to push harder and expect more out of myself. I don't expect 1st place finishes all the time. It may never happen again. I have my loftier distance goals and then, maybe I'll re-evaluate my podium goals in the future. But, for now. I'll take this first place and for me, that's enough - knowing that he wouldn't have been sponsoring last - he would have been sponsoring a triathlete-in-the making. Heading out on the bike. Brrrrr!! look when I chicked him. Seriously dude? Run. Faster. Michelle & Me post-race! Tri-Mommies! 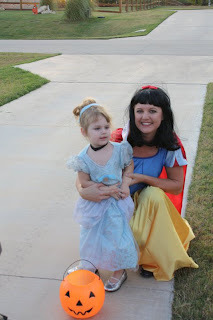 We have the best mom's ever! Swim Coach, Blake, came out to root us on! Speaking of triathlons, I am trying to talk our hospital into sending me to the USA Triathlon Race Director Symposium. It's being held in Colorado Springs, CO this January. 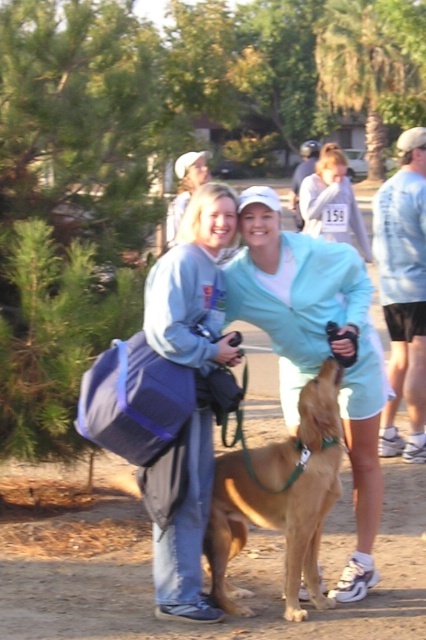 I'm so excited about getting to be the Race Director for an All-Women's triathlon out at our hospital in 2011. It will be the first time for this event, and we just nailed down the event date. Looks like we're a go for Saturday, August 13. More info when we get the logos and the event website all set up. It's a sprint with a very fun atmosphere.They have adorable logos and last year they gave out super cute long sleeve tech t-shirts and fleece beanies. Here's what the logo on the sweatshirt looks like this year.... WHAT THE ???? Getting a sweatshirt is awesome, but this? Seriously? Who looks at this and thinks that anyone in their right mind would wear this out in public? Here's the official video by Endurance Films from the 2010 USA Triathlon Age Group National Championships in Tuscaloosa, AL. My shoulder made it in to one corner of the video at the swim start with the girls in the purple caps and my mom can be seen for a split second when they follow the guy running from the water up to transition. Superstars!! Ha! So awesome! USA Triathlon included my blog as part of it's list of 100 triathlon blogs. Thanks! I am such a nerd for being so excited over my new Michael Phelps lunch bag. They come free with the kids lunch value meals at Subway, but I was able to talk the nice guy at the register into giving me one with my 6" turkey and to-die-for Southwestern Ranch Baked Lays. So inspirational. So emotional. So powerful. Thanks for sharing your story, Ben. If you're a complete Type A personality, like I am.. .and let's face it, if you're into the sport of triathlon, then you are. It should almost be a part of the requirement to get your USAT membership card. Part of my obsessiveness about this sport is reading a lot about it. And, I've learned a lot about it from the training and diet and the science behind it. I'm still working on reading Bob Seebhors, "Metabolic Efficiency Training." 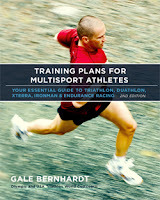 I'm working on reading through Gale Bernhardt's "Training Plans for Multisport Athletes"
Since the Iron and Half-Iron distances weren't enough, Ironman® is now jumping into the Olympic-distance races. "World Triathlon will dub its new series 5150, a reference to the 51.5-kilometer length of the Olympic race." Honestly, I'm kind of bummed about this. I have always revered the Ironman® brand to the longer distances and the physical and mental challenge that these races represent. Seeing the 70.3 and 140.6 stickers have always inspired me. They represent a level of accomplishment - in training and sacrifice that an athlete is willing to undertake to push their limits of ability. An Olympic-distance race (while admirable) ... not so much. 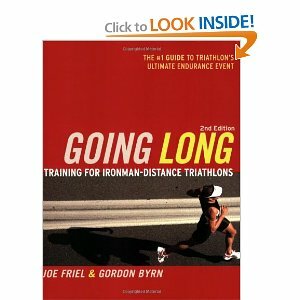 "A 2009 USA Triathlon survey found that only 17% of triathletes had finished an Ironman race in the past year. But 58% had finished an Olympic-distance race." As you probably know, the real money in the races isn't the registration fees. It's in the merchandise sold that generates the largest profits. So, now World Triathlon can capture the 58+% of the market in apparel and thousands of triathletes will be sporting the M-dot logo from one of the 13 or more races they'll be adding next year. Ca-ching! As a pure cash generator, you can't argue that it is a marketing genius move. I can't help but wonder if these participants will consider themselves an Ironman because they finished an Olympic? 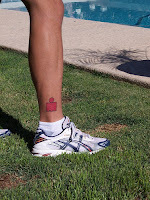 Maybe get an Ironman® tattoo, too? If people get an outline for a Half Iron, wonder what they'll do for the Olympic... maybe just the outline with no head? Okay, I'm getting snarky. Honestly, I just feel that it cheapens the brand. I won't even wear a non-event specific piece of Ironman® clothing. I guess I just feel that the Ironman® brand represents the events that you've competed in - not just a generic Nike swoosh on a sweatshirt. And - even after completing Ironman Texas - I still don't think I would wear just a shirt or a hat with a plain Ironman® logo on it. Maybe I'm a bit of a purist, but it's just the level of respect that I have for the brand. Alright, well that's enough of my huffing and puffing. Happy Kona week! That's a "real" Ironman® race, right? I've also purchased the domain, http://www.IronTexasMommy.com. So, no more having to type in .blogspot. It just looks cleaner, although it re-directs to the Blogger site in the header. Anyway, that's my excitement for the day. Went on a bike at lunch today. The weather was so gorgeous. I didn't want it to end. Cool, crisp air and a nice breeze without an ounce of humidity. Kudos to the racers this weekend! Three of my teammates from the Fit-N-Wise Triathlon team competed in the USA Triathlon Long Course Nationals today in South Carolina. Mike, Susie ad JoBeth had all competed at the Age Group Nationals last weekend with me. Mike continued the drive out to Myrtle Beach, S. Carolina with the bikes and Susie and JoBeth flew back to Texas for the week and then out to SC for the weekend. Talk about a hectic schedule! The weather, however, was not so great. Mike told me it had rained pretty much all week. The swim ended up being cancelled the morning of the race. This was to the delight of JoBeth, who is extremely strong on the bike and the run. Susie had an amazing race and qualified for Worlds which is being held in Nevada next year! I am so happy for her, especially since she had bike issues at Age Group Nationals and was unable to finish. Mike had a great day, too, but said the winds were vicious on the bike. His age group looked stacked, too. I am sure he will qualify at another race. JoBeth continued her winning streak and took 1st place in the Athena division! Congratulations also to Megan for an awesome race at the San Jose Rock N' Roll Half Marathon today!You are unstoppable, girl! So proud of you and everything you've accomplished this year! And, to my friends training for the Trail of Two Cities Marathon and Half Marathon in Fresno, CA... keep up the great running! Only 34 more days! I know you're in those long mileage days. I waffled. I waited. I debated. I asked opinions and advice and then waffled some more. I could not make a decision on whether I wanted to do a full marathon this year. I stared at my computer until almost 11pm last night wondering if I should click "submit" on the application. The price went up at midnight. I hate paying more that I absolutely have to. In the back of my mind, I had decided that I'd like to continue to do at least one marathon a year. I completed White Rock last year and really enjoyed it. But with the Ironman in May, I wasn't sure whether running a full was a good idea. I decided to put my doubts to rest ... it's a full 5 months before May and it will help build my run base. So, I did it. I had told myself that if I completed 5 marathons in my life, I'd be content. So, here I am signed up for #6 and will complete #7 in conjunction with IMTX, so I guess, I'll have to get to 10. At some point, I'm really gonig to have to get a solid training plan together. A 2x Ironman triathlete and 100-mile ultramarathon finisher. Continuing to chase ultra-endurance event finishes while working full-time and raising a vivacious 6-year old. I completed my first 140.6 race at Ironman Texas in May 2011 and my first 100- mile ultramarathon at Cajun Coyote in LA in December 2013. Jon- "Ladies and Gentlemen, Epic Has Jumped the Shark"
Jeff- "Things that Bother Me"
K.C. - "Hater in Texas"
Big Daddy Diesel- "T-Shirt Etiquitte Guidelines"